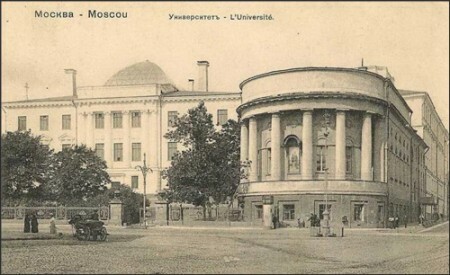 Moscow University opened its doors on April 26 1755. 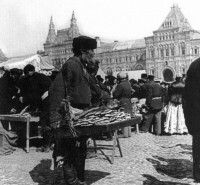 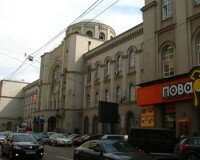 Initially students studied in the building of pharmacy on Red Square, where the History museum is located nowadays. 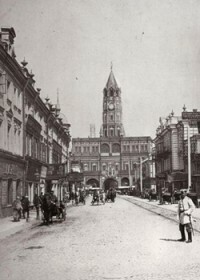 At that time it had only three faculties – philosophy, medicine and law. 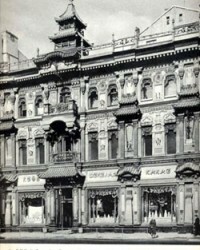 A bit later it was transferred by Catherine the Great to the present Neoclassical building on Mokhovaya street. 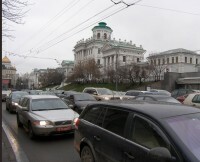 Today most part of the University is situated on Sparrow hills, to the South-west of Moscow. 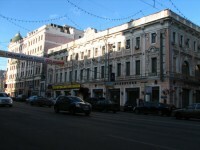 But two old buildings on Mokhovaya street have survived. 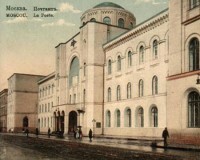 The one we see in the picture accommodates the Faculty of Journalismwas. 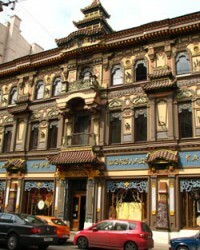 Initially it was a private mansion. 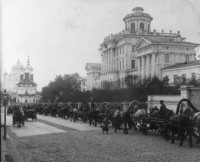 In 1836 it was rebuilt for the University classes. 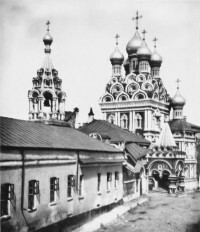 The same year the church of St Tatyana was opened in the right wing of the house and remained there up to 1918. 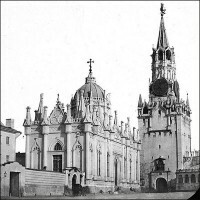 The decree of the University foundation was issued in 1755 by Empress Elizabeth on January 25, the day of St Tatyana. 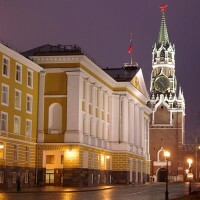 Since that time Saint Tatiana has been the patron saint of students and Tatiana Day has become celebrated as Russian Students Day. 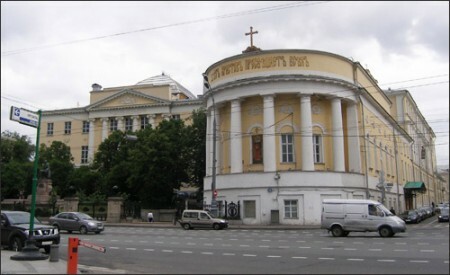 The church of St Tatayna was closed in the Soviet times, the building was used for performances of the University theatre. 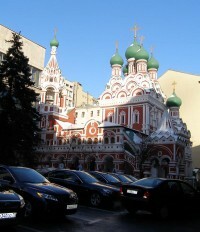 In 1995 it was reopened as the University's private chapel. 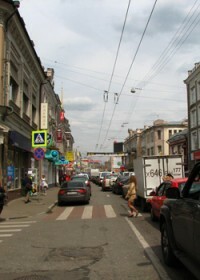 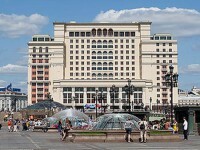 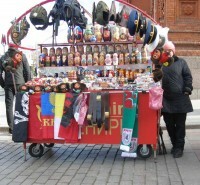 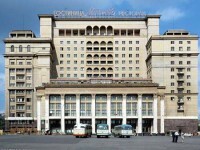 During your Moscow city break it'll be interesting to explore Mokhovaya street and learn more about Moscow University.